You can shove all your gubbins in a rucksack, but that can be uncomfortably bulky and will become even more uncomfortable if you come off. 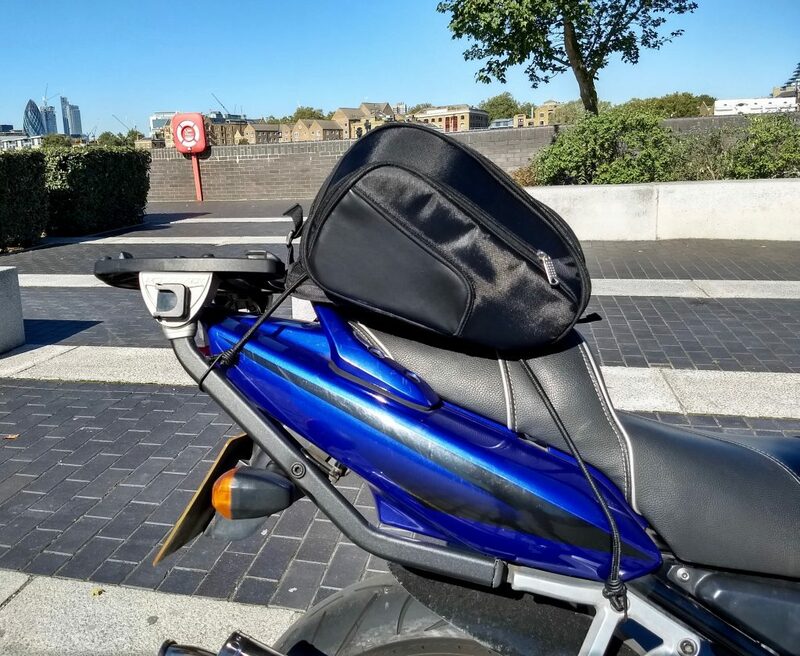 You can fit some expensive hard luggage, however big panniers make filtering tricky, and top boxes on a sports bike just look a bit naff and can cause some front end instability. This is where a tail pack comes in, a little bag that clips onto your pillion seat behind you. 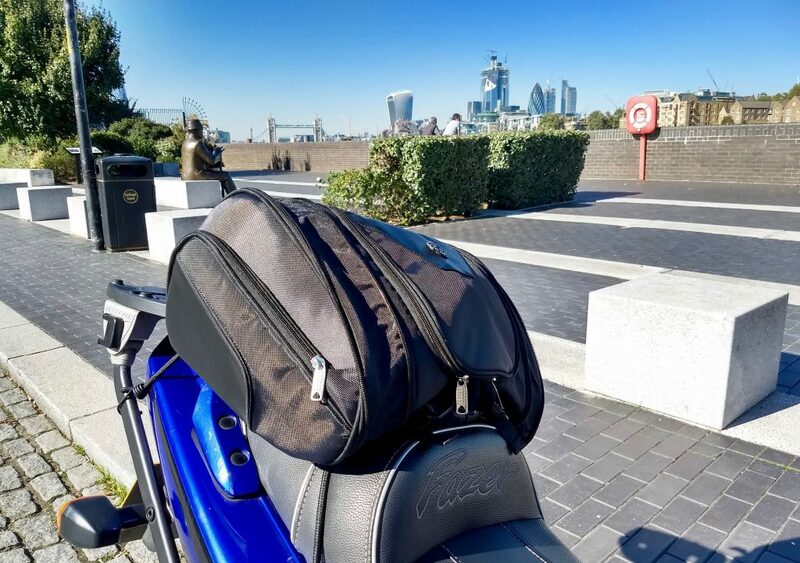 Exactly what Californian firm Viking Bags have provided for review here, their sport bike tail bag in contrast to their usual luggage aimed at cruiser bikes. First impressions of the bag were good, it’s built from sturdy Cordura with rigid panels beneath to hold its shape well. The sides contain very thick panels, such that contents should remain well protected in the event you have an off. A little label tells us it’s made in Pakistan, an interesting change from the usual Chinese stuff. Visually it looks well made, finished to a high standard with neat seams and no obvious shabbiness. On each side are two smaller zip up compartments with approximately space for a paper back novel. The main centre compartment unzips to reveal a bunch of small pockets and slots within the top flap, ideal for pens, keys, phone, memory cards, johnnies or other small things you need handy. The rest of the central compartment is nicely lined with soft padding, pretty spacious and can be expanded by unzipping the sides. 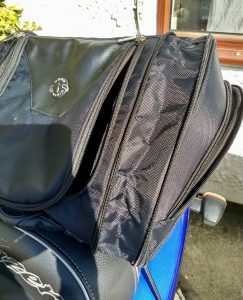 However, on the example bag sent one zip did have a couple of teeth skipped in places, appeared to be a result of the thick panels and expanding area hindering the zip pulls free movement. Only minor, but possibly a future failure point. The bag is also provided with a shoulder strap and slightly disappointingly an elasticated waterproof cover, more on that later. To fit on your bike you’ve got a couple of options, first up there are a pair criss-crossed bungees threaded through the base of the bag above a grippy panel to help keep the bag in place. The bungees are great for quickly clipping onto your bike, as you simply pull them down to pillion pegs or join them together under the seat or beneath the bikes tail end. Though be wary of the metal hooks scratching paintwork, I lost a little rubber cover on one hook end after just a couple of days of use. Secondly, there is separate base panel with webbing and pairs of clips front and back which you could clip underneath and around a rear rack. Not immediately obvious to be honest and no instructions are provided to give hints. Instructions on the Viking website only cover attachment via the bungees. 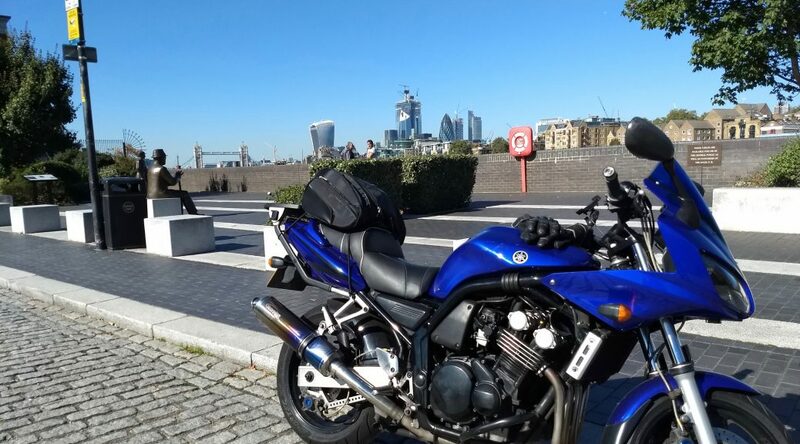 For my day to day commute into London, I usually carry my work laptop, trainers and jeans to change into, a packed lunch and a big Pragmasis chain and Squire padlock. The chain at 10Kg was just too heavy and large to throw in this 20 litre Viking bag, so I had to make do with my Abus disc lock, which to be honest should suffice unless you’re venturing into a motorcycle crime hotspot like London. 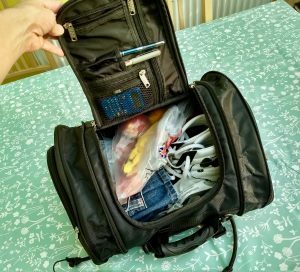 The rest of my gear was swallowed up by the bag absolutely fine, but I did have to open up the side expander zips to fit my huge size 11 Vans in! 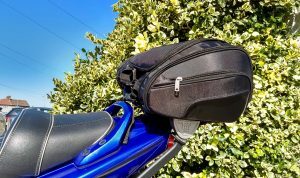 Mounted on the bike, the tail bag looks good, is fairly discreet and unnoticeable whilst riding. Once at work, I did like how I could unclip the bag in few seconds and carry it straight off into office with the handy carry handle. Where this Viking Sport Tail Bag struggles most is when compared against the competition. Priced at $90 or just shy of £80 in the UK, it comes in more expensive than most of the Oxford and Givi ranges (starting at ~£50), and only just below a Kriega US-20 at £100. So, although Viking have a very decent bag here, other brands are offering similar for less or more features for similar money; the Kriega bags are fully waterproof, the Oxford T30R is bigger, has more pockets and has electrical outlets. 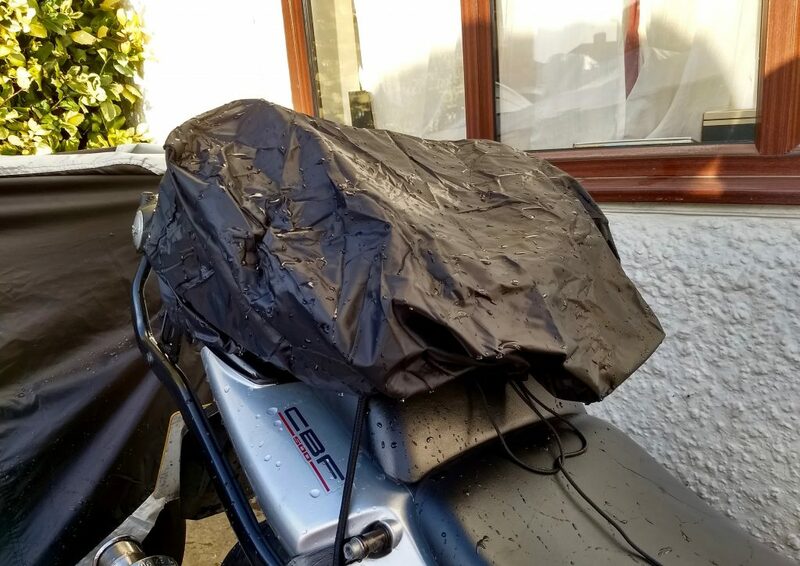 I know California doesn’t get much rain, but for a UK biker a pull over cover for rainy days is a big downer. I know California doesn’t get much rain, but for a UK biker requiring a pull over cover for all too common rainy days is a big downer. The provided cover does keep the bag dry, but it was very baggy and doesn’t protect the underneath. Then there is the hassle of having to stop in the rain to dig it out and pull it over, and when you arrive at your destination putting the wet thing away somewhere. You also can’t easily use the shoulder strap at same time as waterproof cover, which is more hassle if you need to walk around in the rain. 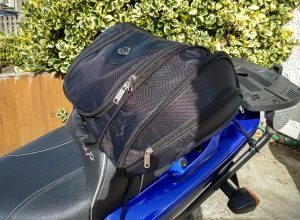 A separate cover is a common design for much soft motorbike luggage, but they’re usually cheaper (e.g. the Givi XS313 at ~£60). To sum up, Viking Bags offer a good tail pack here that’s built well, looks good, very practical and dead easy to fit. However, needing a separate waterproof cover is a big compromise that lets it down for British weather, and not what one expects at this price point. If you just need something for fair weather days when you take your summer sports bike out, or just to quickly attach to a rental bike in sunnier climes, this Viking Sport Tail Bag will fit the bill well. Buy this Viking Bags tail pack direct here. Or buy this Viking Bag Motorcycle House UK here. Previous PostAlpinestars SMX S vs S-MX 6 Waterproof Boots ComparedNext PostEnd of the Season – Yeah Whatever!